Gamers can be hard pressed to find a game that is more taxing on the mind than a serious game of poker. This is why it is always a good idea to take a break now and then with an alternative game – something that can complement the poker player’s quick mind and offer a chance to recharge the batteries in a fun and stimulating way. Bingo poker has taken the poker world by storm in recent months as the game offers poker players the chance to experience the feel of poker but with the relaxed and friendly atmosphere of a bingo game – and giving poker players the chance to come back to their poker games refreshed and sharper than ever. In bingo poker, players each have a card with different poker terms written on it, for example, ‘full house’, ‘straight draw’ and ‘pocket rockets’. These terms are used instead of numbers, in order to give the appropriate poker twist. The idea of the game is to score off the different poker terms as they are called, much in the same way as bingo numbers are marked off as they are called in traditional bingo games. There is plenty of common ground between the two games which makes for even more of a perfect match for players. The concentration levels, sharp mind and quick reactions make these games similar in more ways than one. 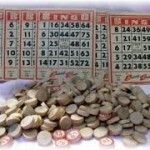 The skill involved in bingo is not perhaps as demanding as the skills levels of poker but the games can both still offer lots of different kinds of mental challenges, of which concentration could be the primary one. 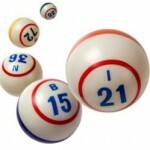 The game of bingo is rarely as demanding as a poker game mentally, but it can still be tricky keeping track of different cards to multiple games – and the knack of finding the numbers and keeping an eye out for the patterns in a 75 ball game has challenges all of its own. Bingo is thriving more than ever online. With free bingo and various other games on offer at these sites, such as slot games, video poker and scratch cards there is more than enough variety to entertain everyone. For example, the slot selection at bingo sites includes modern classic titles such as Bejewelled Slots, which has proved a hit with all kinds of gamers, from poker players to casino veterans, as well as bingo fans. With bingo on the up and more poker players enjoying the game with the balls than ever before, it is time to have a go with bingo poker – this could be the perfect bridge between the two games for novice bingo players. Poker fans can also enjoy the slot action at online bingo sites, such as the instant classic Bejewelled Slots – another great game to play alongside your bingo fun. After all this top gaming action, players can return to the poker tables sharper of mind and fully rested, ready to engage in another battle of the cards!